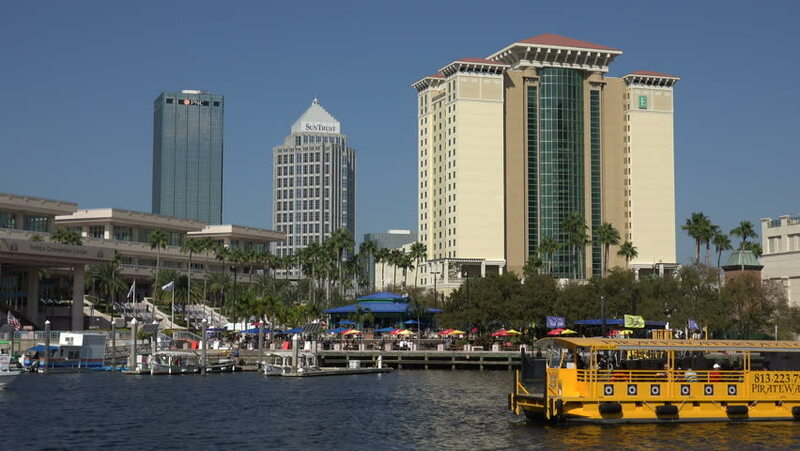 TAMPA, FLORIDA/USA - NOVEMBER 19, 2016: Tampa Bay water taxi passes River Walk. The pirate boat has over 14 stops along the Riverwalk, Channel District & Davis Island. 4k00:16TAMPA, FLORIDA/USA - NOVEMBER 19, 2016: Riverwalk leisure area in Tampa Bay. 4k00:19ST LOUIS, MO - March 24 : Establishing shot of downtown city traffic with cars driving by in St Louis, Missouri on March 24, 2017.
hd00:37DUBAI - CIRCA 2012: Shot of the Almasraf building from the Dubai Harbor in the United Arab Emirates.